Gut instinct – eczema, arthritis, chronic fatigue or depression. Are your health issues caused by your gut? Irritable Bowel Syndrome (IBS) is a very common digestive disorder with data showing that about one in every eight persons suffers it at any time. Are you one of them? The symptoms are common enough: bloating and abdominal pains along with abnormal bowel habits. Women often comment, they look four months pregnant from the bloating. it is not usually triggered by stress although stress can aggravate it. Bowel movements are irregular, some people experiencing stools that are predominantly too loose with occasional diarrhoea (IBS-D) and others report that they are frequently constipated (IBS-C). Some people experience a mixture of both (IBS-M). IBS reduces quality of life considerably1, with patients reporting diminished work productivity and high medical expenditures2,3. Until recently IBS was conventionally considered a disorder without an organic basis, which means there had been no diagnosable or treatable cause. 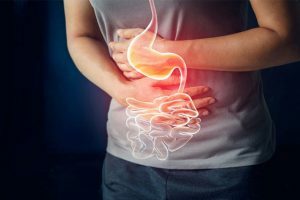 However, new research data has shown that in a major subset of patients – more than half of all IBS sufferers – share a diagnosable infection in their small intestine called Small Intestine Bacterial Overgrowth (SIBO). SIBO can be identified through a simple breath test and can be effectively treated with a natural treatment protocol that achieves over 80% cure rate for IBS sufferers. This is indeed very good news because you or your friends and family no longer have to live with the illness and the discomfort related. Is it IBS, a nervous tummy, food intolerances or SIBO? Studies now show at least half of IBS sufferers have SIBO, a bacterial overgrowth in the small intestine. Infection caused by a parasite called Blastocystis is found in 17% of Western patients with IBS, with a greater frequency in South Asian populations4. The infectious cause of IBS in many cases is no surprise since IBS symptoms often develop after food poisoning, usually experienced when travelling or newly arrived to a city such as Hong Kong. The odds of developing IBS are high following such bouts of gastroenteritis. If gastroenteritis preceded the onset of your IBS and you have not been well since you first experienced your sickness, you most likely have SIBO—the bacterial infection remaining. Alternatively, if you went to India, Pakistan or Bali, you may still have amoeba like Blastocystis or Giardia or both bacteria and amoeba, travelling inside you. Another common cause is wheat or gluten intolerance. Infections can trigger food intolerances or make them worse. Around 4% of IBS sufferers are confirmed to have severe gluten intolerance called Celiac Disease based on a meta-analysis of 14 studies5. The same study found people who suffer from IBS are around four times more likely to have Celiac Disease than people without IBS. Other wheat-related digestion issues, called wheat sensitivity, are even more common than gluten sensitivity. 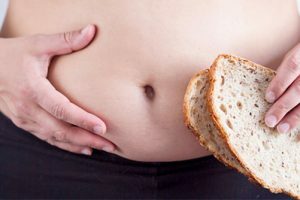 People with wheat sensitivity experience IBS-like symptoms, such as abdominal pain, bloating and abnormal bowel habits. They may also experience systemic symptoms ranging from fatigue to a foggy mind, headache and depression, joint and muscle pain, dermatitis (eczema or skin rash), or anemia. Around one person in six with IBS symptoms has lactose intolerance, often undiagnosed6. An IgG Food Intolerance test can accurately identify wheat, gluten, or lactose intolerances. Finally, some people have a “nervous tummy” where their vagus nerve is overactive, especially in response to anxiety. If you suffer from IBS, it is important to first identify the underlying cause so the appropriate treatment plan can be made to address the cause. Mike gave up his corporate life to become an athlete and coach and was used to being fit and competing in iron man races with record-breaking swims. It was a huge disappointment for him to find his performance had dropped significantly. Mike complained of painful abdominal bloating and constipation. He felt his digestive tract was toxic, debilitating and painful. “My gut is poisoning me,” he said and pleaded for help. His muscle pain after training had become terrible. His moods had become negative and he had an odd symptom where his weight would fluctuate from 77kg up to 83kg in 2 days, obviously not due to dietary changes. He looked tired with darkness around his eyes. The green line indicated high levels of Methane. This meant his SIBO was composed primarily of a group of organisms known as Archaea. Archaea in our digestive system feed off of the hydrogen that other bacteria produce during the fermentation of carbohydrates in our gut. Archaea produce methane as a byproduct of their digestive process7. The Archaea are the hardest infection to eliminate even with conventional antibiotics. Natural herbal treatments have been found to be very effective, with over 80% cure rates achieved for IBS, compared to the approved antibiotics in conventional medicine. Herbal treatment might require multiple natural antimicrobial agents, antibiotics and anti-biofilm agents such as thyme oil, oregano oil and garlic oil, based on your clinical symptoms, the SIBO breath test, and if we have it, a stool test result. Stool tests such as the Comprehensive Stool Analysis or the G.I.MAP are very accurate DNA microbiome testing. You can gather all necessary data on your gut infections, including virus, bacteria, Candida, and parasites. The G.I.MAP also finds any intestinal inflammation, “leaky gut”, gluten intolerance and digestive enzyme deficiencies. I strongly recommend anyone to consult with an experienced practitioner who can recommend the right tests and prescribe the correct treatment option. After 6 weeks of herbal treatment, Mike said he felt a million times better. His weight had returned to within 1-2 kilograms of his optimal goal, his muscle pains had disappeared and the depressed, grumbling disposition had evaporated. Mike’s performance returned to form and training was a pleasure again. Michelle, an advertising executive from the UK, suffered from a simpler and more common case of irritable bowel. Her symptoms included bloating and diarrhoea and she had been suffering for the past 5 years. Michelle said she had to run straight to the toilet after eating most meals and that she was so bloated that people often asked her when the baby was due. She didn’t know what to eat and expected that would be the focus of my consultation. 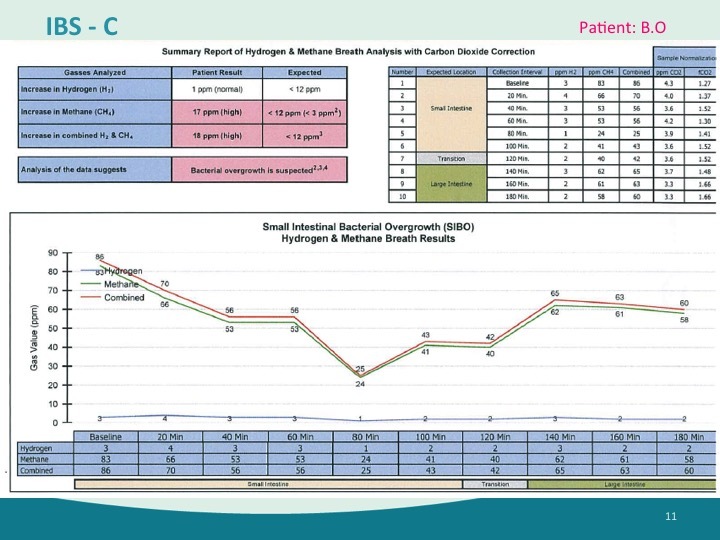 We did the SIBO breath test but since she was travelling with family for three weeks over Christmas, we started herbal antimicrobial treatments for SIBO before the results returned. After New Year, just before heading back to London, Michelle returned beaming. The symptoms had disappeared after taking the herbal anti-microbial treatments and probiotics prescribed for her. The SIBO test results did indeed show high hydrogen gas production; an easier-to-treat form of bacterial infection in her gut. 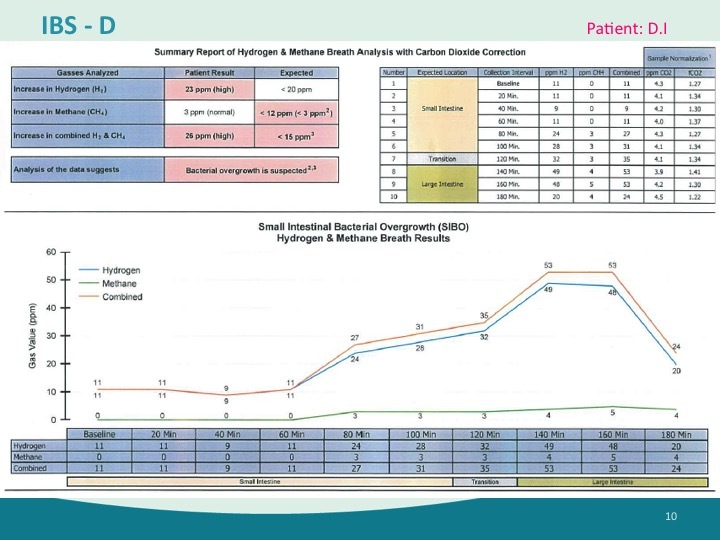 If you have diarrhoea related SIBO, you are very likely suffering from an overgrowth of hydrogen-producing bacteria in your small intestine, as we saw in Michelle’s case. The blue line indicates high hydrogen levels while the green line shows low methane levels. With appropriate testing in functional medicine and treatment in naturopathic medicine, we can be confident of tackling the causes – usually the infections – at the root of your IBS. Once the infection has been cured and the good gut flora are replaced many symptoms and food intolerances disappear and most people find their overall health rebounds. Yes, it is all-possible! To find out more about IBS and SIBO and which test and treatment option is right for you, please contact IMI Integral Health Advisor, advice@imi.com.hk, or make a booking with one of our naturopathic medicine practitioner by calling 2523 7121. 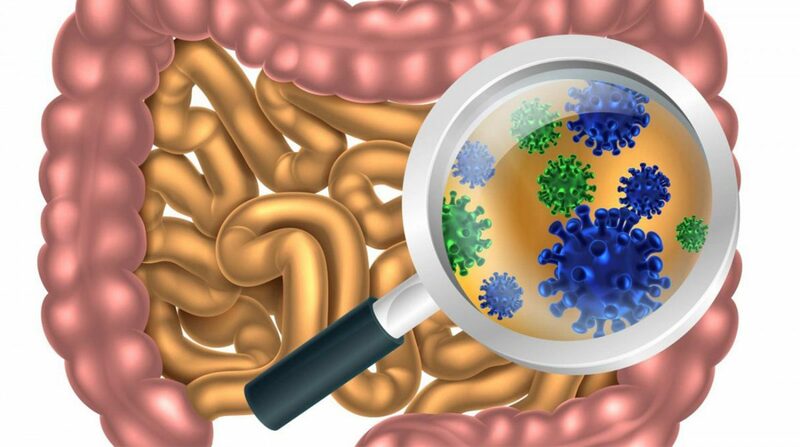 Pimentel M. The prevalence of overgrowth by aerobic bacteria in the small intestine by small bowel culture: relationship with irritable bowel syndrome. Dig Dis Sci. 2012;57(5):1321-1329. also see Bures J. Small intestinal bacterial overgrowth syndrome. World J Gastroenterol. 2010;16(24):2978-2990. 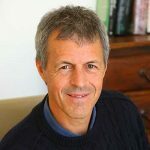 Graeme is a highly respected Naturopath and Homeopath with over 30 years in clinical practice. He is widely recognised as one of the pioneers who brought naturopathic medicine to Hong Kong in the 90s. His expertise includes gut-brain issues, DNA assessment for disease prevention, and clinical detox programs.